Whether you are buying a new home, on the hunt for a commercial property or would like expert, tailored property advice in the Whaley Bridge area, the Right Surveyors Whaley Bridge are here for you. Alternatively, visit our website at www.buxtonsurveyors.co.uk for more information on our specialist surveyors and their products and services. Whaley Bridge Surveyors is a trading name of Right Surveyors Manchester Ltd (an RICS regulated firm of chartered surveyors). It offers pre-purchase surveys and specialist building surveys for property buyers, sellers and owners. Visit our website at www.buxtonsurveyors.co.uk for more information about our surveyors, the services they offer and the great testimonials they have received from our satisfied customers across Derbyshire. 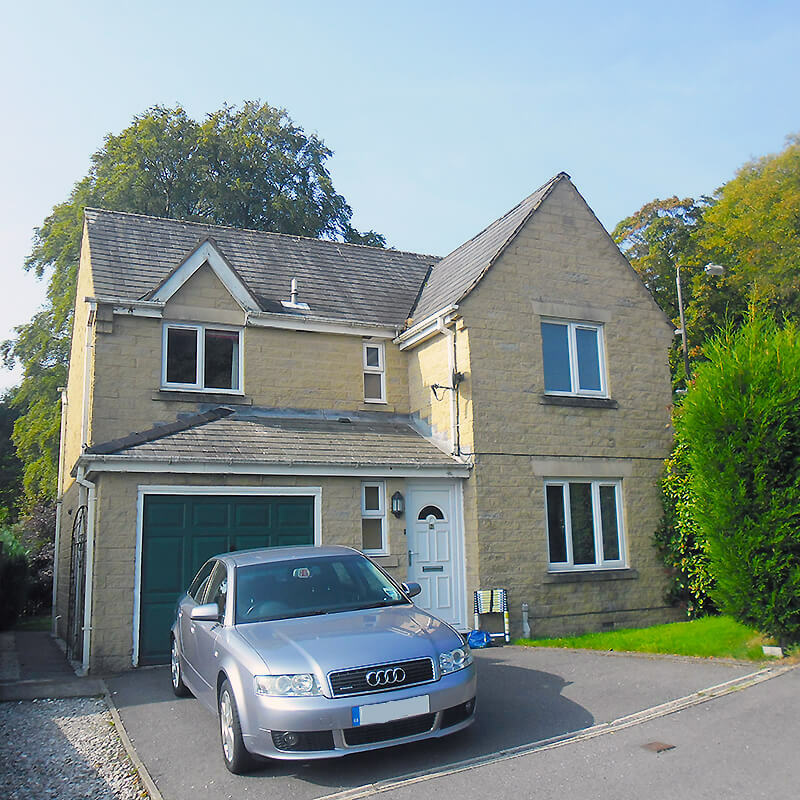 Detached House near Whaley Bridge. In 1587, the "Towneshepp of Weley" was a well-established coal-mining area. Whaley Bridge, which lies on the River Goyt, has only been known under that name since 1863. Bronze Age artifacts such as an axe-head, standing stones and the remains of a stone circle show settlement in the area from early times. We don't just cover Whaley Bridge and Derbyshire! Our fully qualified, RICS regulated chartered surveyors work nationwide. Click here to find your nearest practice. Alternatively, give us a call on 0161 403 1403 and we will be happy to put you in touch with them directly.